Born in Offenbach/Main, Germany in 1958.I want to make people use there fantasy. Everybody shall see other things in my pictures.I want to show what is behind the world that we can see or make photographs of. There are many energies - above and below. 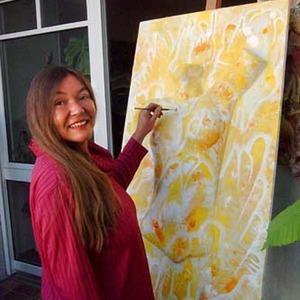 I learned to paint professionally at Kunstschule/Westend at Frankfurt/Main, Germany.Since 1990 I am working as a painter, had many exhibitions and write also illustrated books.In the last years I often exhibited at the Klingspormuseum at Offenbach with illustrated books, mostly for children. 2014 first price in the challenge "Partizipia"